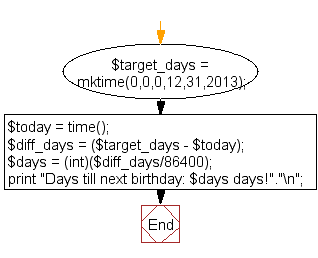 Create a simple 'birthday countdown' script, the script will count the number of days between current day and birthday. Days till next birthday: -1143 days! 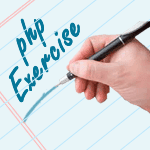 Previous: Write a PHP script which will display the copyright information in the following format. To get current year you can use the date() function. Next: Write a PHP script to print the current date in the following format. To get current date's information you can use the date() function.